The Smurfs is a comic and television franchise centered on a group of small blue fictional creatures called Smurfs, created by and first introduced as a series of comic strips by the Belgian cartoonist Peyo on October 23, 1958. The original term and the accompanying language came during a meal Peyo was having with his colleague and friend André Franquin in which, having momentarily forgotten the word “salt”, Peyo asked him (in French) to pass the schtroumpf. Franquin replied: “Here’s the Schtroumpf — when you are done schtroumpfing, schtroumpf it back” and the two spent the rest of that weekend speaking in schtroumpf language. 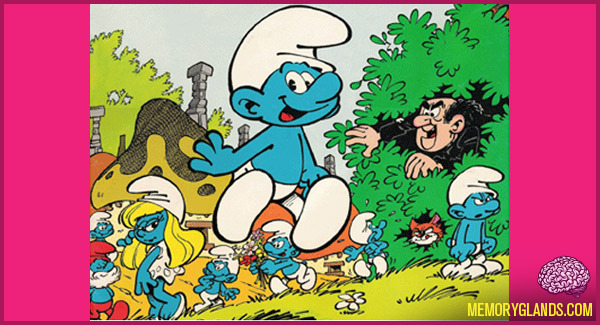 The name was later translated into Dutch as Smurf, which was adopted in English.